At Connect Roofing we offer high quality uPVC roofline services to customers in Chertsey, Egham, Staines, Virginia Water, Walton on Thames, Weybridge, Kingston upon Thames, Teddington, Twickenham, Feltham, Richmond, Sunbury, Esher, Epsom and all surrounding areas. 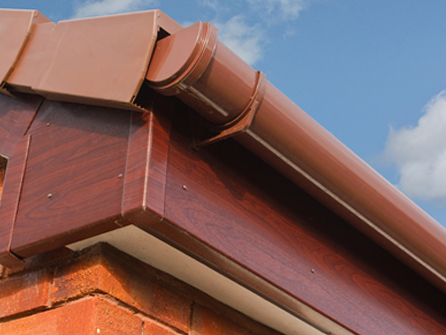 uPVC guttering, fascias and soffits are essential components for your roof. They protect the roof space from the elements and prevent expensive damage. Our uPVC guttering, fascia and soffits are the latest on the market and can be fitted to all types of properties whether traditional or modern. We use only the best quality uPVC that is durable and can withstand extreme temperatures. Guttering needs to be sufficient for the property and hardwearing to enable the rainwater to flow away and leave the exterior walls dry. 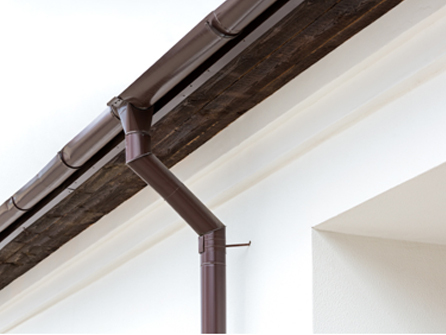 When insufficient drainage is installed, guttering and downpipes can become blocked or broken. This results in the exterior walls of a property over time becoming wet and eventually this water will turn into damp and mould resulting in major problems down the line. Our work is fully guaranteed and we do not require any amount of deposit. Check out what our satisfied customers are saying about our professional team by taking a look at our Checkatrade page or you can visit our Testimonial page for more information. Make your property weatherproof by calling in the experts at Connect Roofing. We can clear out your guttering too by demossing, ask a member of our team for more information on this popular service. 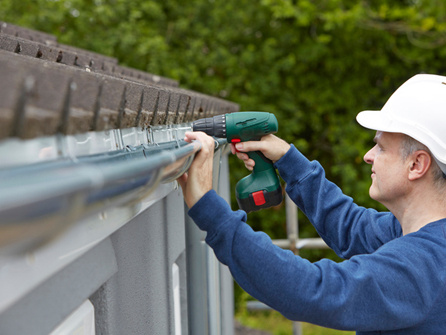 Offering free site visits to discuss your guttering requirements and a free, no obligation competitive quotation whilst offering free helpful advice and guidance on all of your guttering needs.